Walking the Cotswold Way, one of England's finest National Trails. 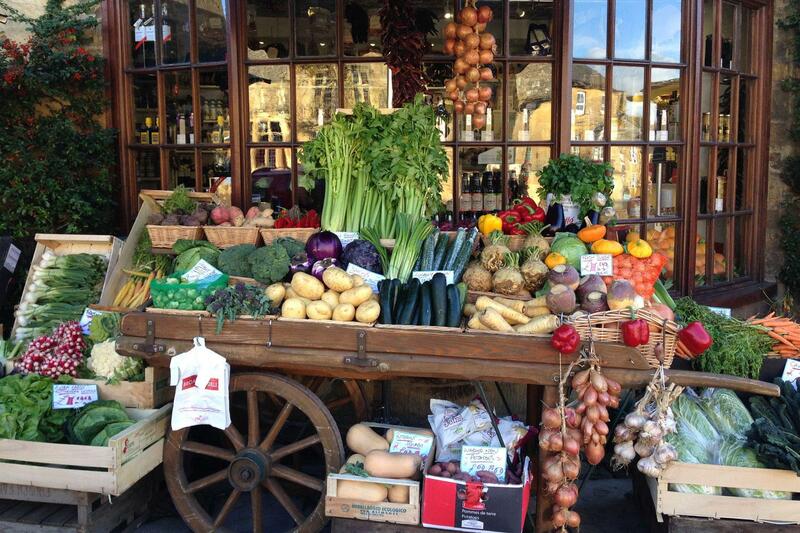 Explore Broadway, Stanton and other pretty villages of the Cotswolds. Enjoying the warm and friendly atmosphere of a Cotswold country pub. Fine walking through quintessential English countryside. Bath, a UNESCO World Heritage city, at the end of the Cotswold Way. Almost the entire trail runs through the Cotswolds Area of Outstanding Natural Beauty and passes through a succession of enchanting English villages, featuring traditional Cotswold cottages and welcoming country pubs. Cross fields still bounded by hedges and stone walls as the trail twists and turns through undulating and stunning landscapes. You will enjoy expansive views, stumble across Neolithic sites and be surprised by elegant village churches. 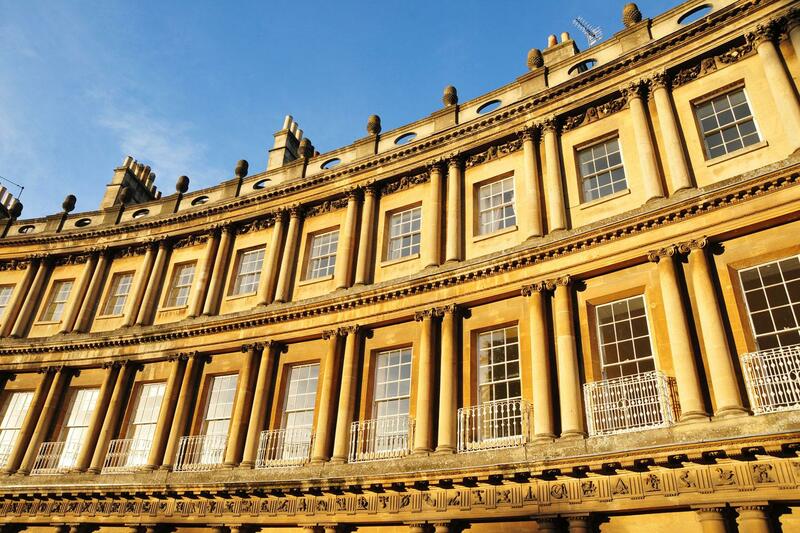 End your tour in the City of Bath, a UNESCO World Heritage Site, and brimming with fine architecture. For more information on walking in the Cotswolds, you can Download our Free Guide to view offline or you can visit our Online Cotswold Information Page. As a Cotswold Way specialist, we offer a wide range of itineraries on the Cotswold Way, each of which is detailed on the right. Each itinerary is made up of the following sections. 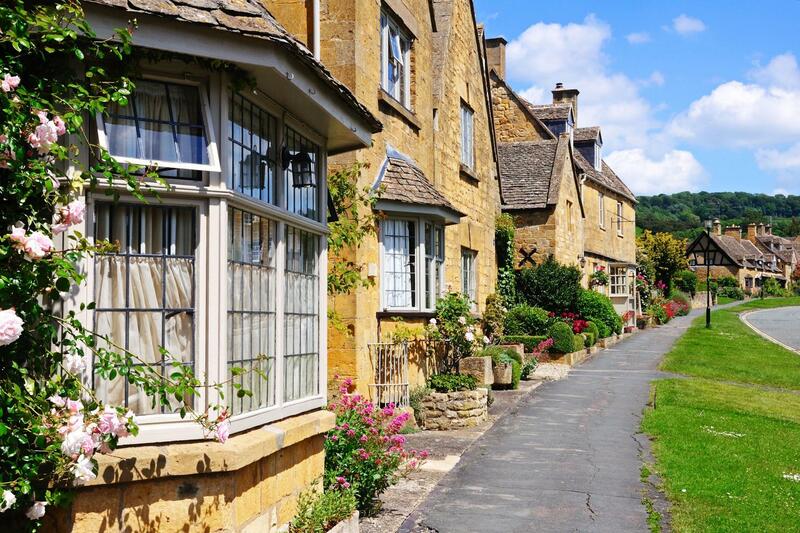 The town of Chipping Campden is arguably the loveliest of the Cotswold towns and many people choose to stay an extra night here before starting the walk. A two-hour train journey from London to Moreton-in-the-Marsh and 6-mile taxi or bus bring you easily to the start of your holiday. 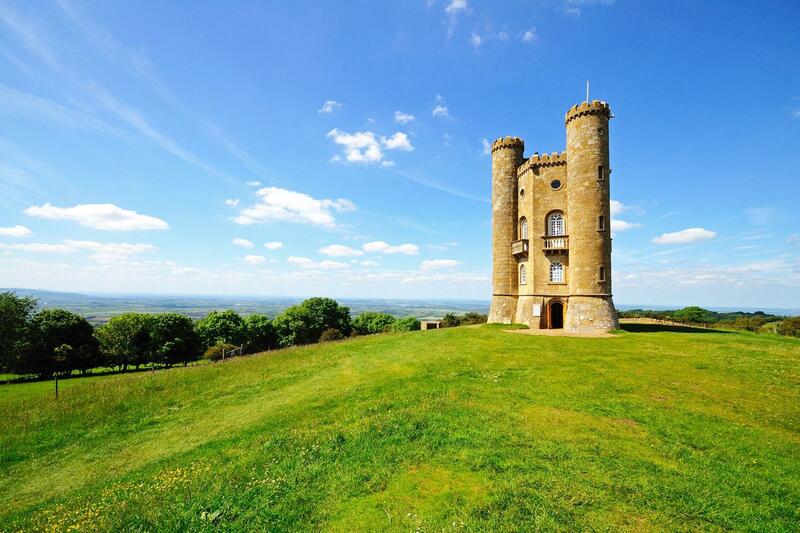 Leaving the honey-coloured architectural beauty of Chipping Campden behind, you climb immediately onto the escarpment where Dover’s Hill and then Broadway Tower reward with fine views. The tea rooms of Broadway are a welcome diversion before heading back into the hills. The idyllic village of Stanton welcomes you at the end of the section. Tearing yourself away from the beauty of Stanton you soon reach the hamlet of Church Stanway. The ornate gatehouse of Stanway House distracts from the steep climb to Stumps Cross which follows. The Iron Age hill fort Beckbury Camp and medieval Hailes Abbey are both of interest before you reach the hustle and bustle of Winchcombe. Winchcombe was once an important Saxon settlement and its folk museum and the gargoyles of the Church of St Peter are well worth visiting. You begin with a scenic and historically interesting six-mile stretch to Cleve Hill. The magnificent Sudeley Castle is soon followed by a Roman Villa and Belas Knap, a huge Neolithic burial chamber. 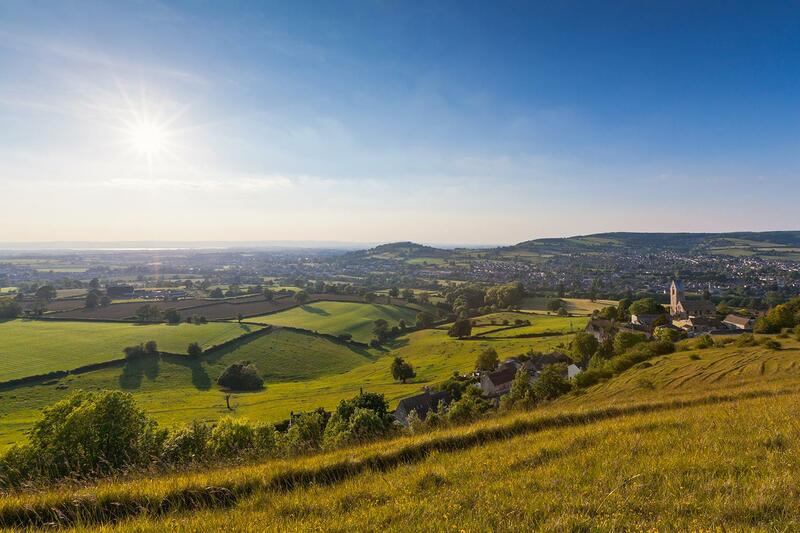 Cleeve Hill offers comfortable accommodation and refreshment but those continuing to Dowdeswell will enjoy a series of outstanding views from the Cotswold escarpment. A short sharp climb from Dowdeswell takes you back up onto the Wolds were the vistas continue to impress. The distinctive Devil’s Chimney and the ancient site of Crickley Hill are both fascinating. Birdlip village has a traditional country inn. A predominantly woodland walk which delights at any time of year, but especially in the spring when wildflowers abound. You pass Coopers Hill, the site of the famous annual cheese rolling festival, before arriving in the delightful Painswick, an elegant town which grew prosperous from the cloth trade. A sublime section of the Cotswold Way. Ancient woodlands, rural tranquillity and vast panoramas combine to deliver walking heaven. Stanley Mill on the edge of King’s Stanley once employed 1000 people and is an early example of fireproof construction. A series of short sharp ascents and descents, Neolithic burial chambers and Iron Age hill forts quickly eat up the six and a half miles to Dursley. Climbing steeply back to the scarp edge Tyndale Monument is the main point of interest before reaching Wotton-Under-Edge. A lovely stop which blends old and new. The first eight miles through valleys to Hawkesbury Upton is filled with mills and streams which serve as reminders of the woollen trade which was once so important in this area. Leaving the escarpment behind at Hawkesbury Upton, the rural isolation, small villages and tranquillity of the walk to Tormarton are to be recommended. Numerous pleasures await on the final section of the Cotswold Way. The spectacular Dyrham Park, wonderful vistas and the architectural delights of Bath make for an unforgettable finale to your Cotswold Way walk. 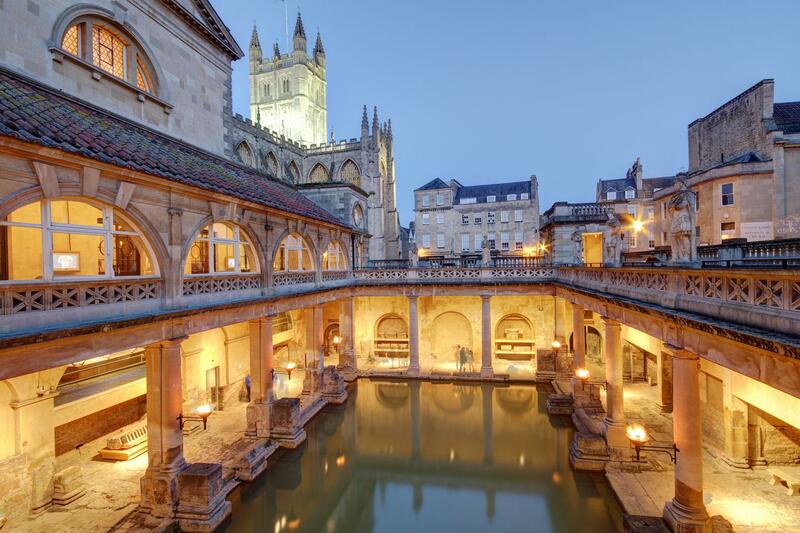 A UNESCO World Heritage site and one of England’s most popular destinations the City of Bath will surprise and delight you. We recommend adding an extra night in Bath. A fast and frequent train service can return you to London in 1.5 hours. Your Cotswold Way trip includes accommodation in carefully selected B&B’s, guesthouses, country pubs and small hotels. Your room will always have an en-suite or private bathroom. Below you will find examples of the establishments we use frequently. During the high season you might be booked into alternative accommodations which are not listed in the description. If those listed are unavailable the alternative accommodation will be of the same or better standard than those described. Carole and Les welcome you to Cornerways. They have lived in the Cotswolds all their lives and have run their family home as a bed and breakfast for the last 14 years. Each room has full en-suite shower facilities, tea and coffee making facilities, flat screen TVs, clock radio, and hair dryers. Shenberrow is an attractive country house which offers lovely accommodation in the little village of Stanton. All rooms for comfortably furnished with en-suite private bathrooms and all the usual comforts in the way of TV & tea & coffee making facilities. The White Hart Inn is a 16th Century coaching inn in the centre of Winchcombe. They have eight en-suite guest rooms; all rooms have tea & coffee facilities, complementary bottled water, flat screen TV and free WI-FI. At the Wine and Sausage they believe that local produce, cooked creatively is the heart of a good restaurant. Marco and Cathy Giorgi draw on their many years of experience and professionalism, to make sure that every little detail is taken care of – all you have to do is relax and enjoy the beautiful Cotswolds surroundings. Their rooms are comfortable and beautifully designed, offering sumptuous Egyptian cotton bedlinen, 32 inch flat-screen TVs, iPod docks, free WiFi and a well stocked hospitality tray. Detmore House is a beautifully refurbished boutique guest accommodation it has a blend of traditional elegance and contemporary decor. They have luxurious spacious en-suite rooms with super king bed, luxury toiletries, fluffy white towels & robes for your comfort. Tibbiwell Lodge offers comfortable accommodation with fantastic views and a superb location in the centre of Painswick. The three rooms are all individually designed, the Terrace Room has its own decked terrace at first floor level overlooking the beautiful Painswick Valley and the Balcony Room has its own sheltered balcony. Having recently received a Silver Enjoy England award our four star guest accommodation Valley Views has recently been renovated and refurbished. You can be assured of a warm welcome from hostess Pam White. The Swan is a former coaching Inn; it has a wealth of charm and character enhanced by original features including beamed ceilings, stone floors and exposed walls plus 3 open fires and traditional furniture. The restaurant offers a modern and contemporary feel while still retaining the character and features of a period building. Situated in its own spacious grounds of lawns and fruit trees, this former farmstead dates from the 1700's and its rustic charm is complemented by modern restoration. All rooms have been thoughtfully refurbished to a high standard to provide excellent facilities and offer tea and coffee, colour television, radio, hair dryer. 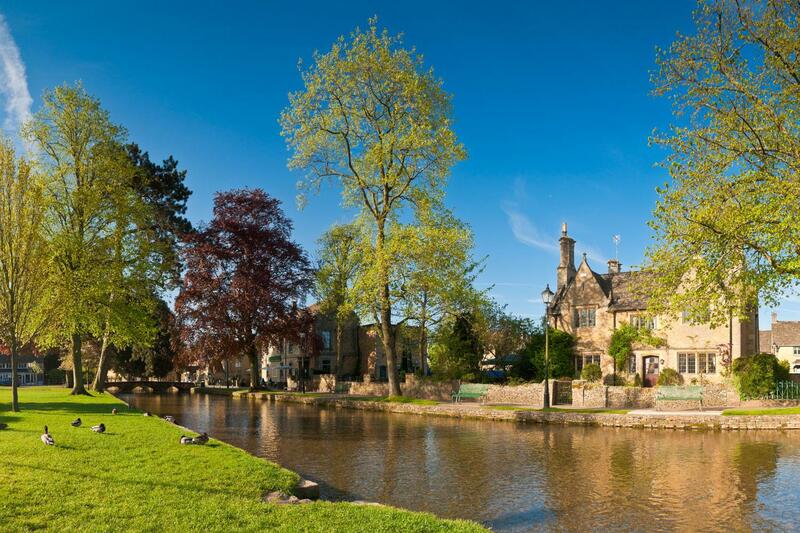 The Compass Inn is a medium sized, family run, hotel set in the beautiful South Cotswolds. An 18th century coaching inn with modern accommodation set in 6 acres of beautifully kept grounds and gardens. The Orangery Restaurant, under Head chef Hugo de Bonneval, has a reputation for using the very best of local produce and seasonal game, as well as a fine wine list. Hill Farm used to be a working farm and the barns were converted in 2012 to high quality accommodation, the heating and hot water is provided through eco-friendly means, and a warm drying space is provided for clothes and boots. The facilities in the kitchen-diner provide you with fresh eggs, bacon and all the trimmings for you to cook your own breakfast. The Kennard Hotel is a beautiful Georgian Town house. However, it also offers all the modern features which are now expected: en-suites with showers, telephones with data port, wireless internet connection in all rooms, flat-screen TVs and beverage trays. Every room in the house was for a different use and so all have their own individual style and character. You can start The Cotswold Way on any day of the week between the start of April and mid-October, subject to availability. 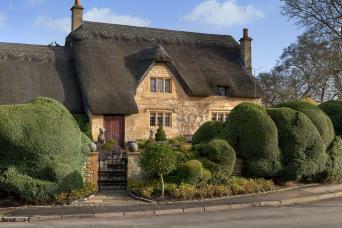 The Cotswolds are very popular so it is best to book as far in advance as you are able to. ** Please be aware that at the beginning of May the Badminton Horse Trials are held and it is a challenge to find accommodation in Kings Stanley, Old Sodbury and Cold Ashton during this time. The Cotswold Way is great at any time throughout the season as all the flowers will be in bloom throughout this time. Single rooms are available at a supplement. 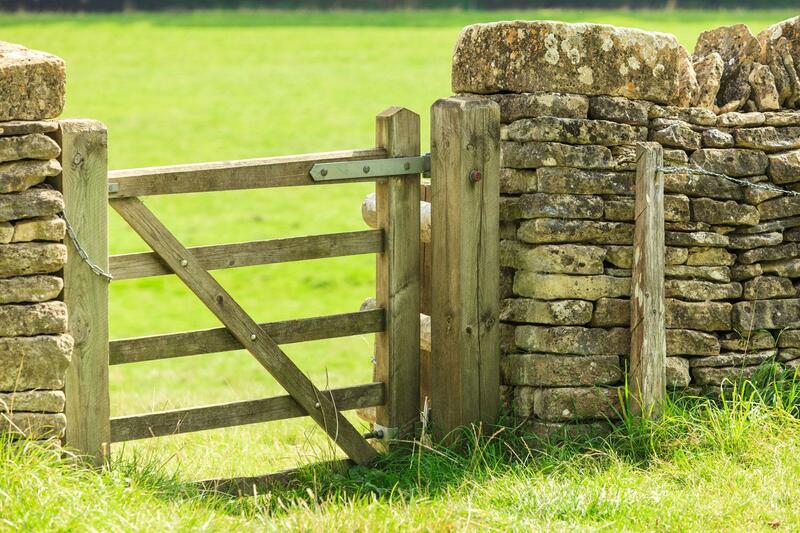 We offer the Cotswold Way to solo walkers. As we incur additional baggage transfer costs there is a solo walker supplement to cover this. This tour is rated easy to moderate overall. However, if you choose an itinerary which is 9 days or less, then the rating becomes moderate to strenuous, as you will be walking more miles per day. The trail is on well-maintained footpaths, bridleways, across fields, golf courses and on some minor roads. It does involve some steep ascents and descents from the escarpment. The Cotswold Way is a National Trail and is fully way marked. A comprehensive guidebook and map are supplied. Your bags will be transferred from your accommodation as per your itinerary and moved onto your next overnight accommodation. We ask you to limit your luggage to one bag of up to 20kg per person. Please ensure that you do not bring more than one bag of 20kg as if this occurs, the luggage transfer company will ask you to pay an additional fee (approx. £5.00 per day, per bag). This additional payment, should it be necessary, needs to be made locally to the driver and in cash. It is also very important that your bag is clearly labelled (and any additional bags). If they are not labelled we cannot guarantee that they will reach you at the next accommodation. The distances and ascent/descents are approximations of the recommended routes. Please be prepared by packing all necessary items, for example, proper rain gear (jacket and pants), sun hat, sunscreen. Your information pack has a detailed equipment list which includes standard walking/cycling gear such as good walking boots or shoes, warm and waterproof clothes for the cooler months and lightweight clothing for summer, and a day pack. Train services connect London to Moreton-in-Marsh (2h) and Birmingham to Stratford-upon-Avon (1h). If you wish to take a taxi from Moreton-in-Marsh this will need to be booked ahead of time as there is no taxi rank at the station or in the town. The cost is about £25. Please check the following website for taxi information and to pre-book. Or you can walk from the station to the Corn Exchange (a 5 minute walk) and from here you can take a bus to Chipping Camden. It is the Line 22 bus, it takes approximately 25 minutes and the buses leave hourly (approx £3 cost). Please note buses do not run on Sundays. Fast and frequent train services connect Bath to London (1h30). If you have left a car in Chipping Campden getting back from Bath on public transport rail/bus takes about 3.5 hours. We don’t recommend you leave a car in Bath as long term parking is expensive. Please visit the Traveline Website or National Rail Enquiries for further information on public transport and timetables. We are often asked the following questions by walkers planning The Cotswold Way and hope that you will find the following information useful. 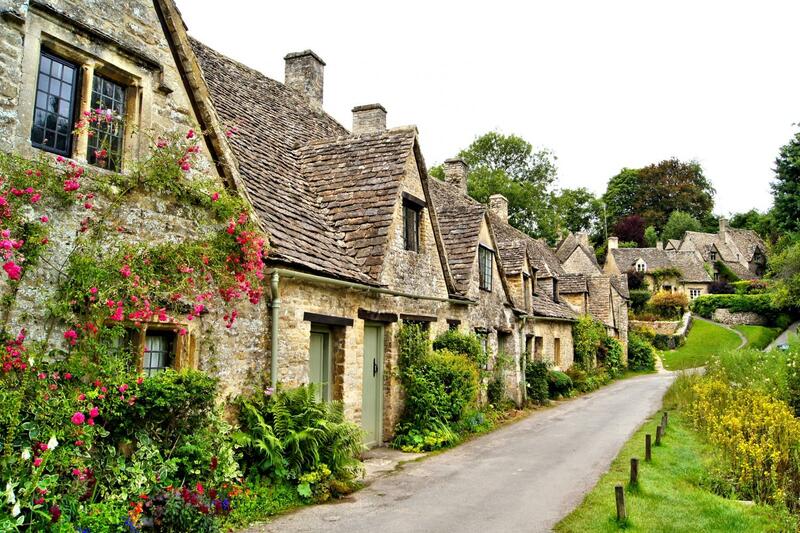 We suggest you book as soon as your plans are finalised as the Cotswolds are extremely popular. If booking at short notice, we will always try and accommodate your plans. We offer a range of itineraries so you can choose your preferred daily distance so hopefully, you will find an itinerary that suits your preferred level of activity. If you currently don’t enjoy an active lifestyle, we suggest regular walking in hilly terrain supplemented by cardio vascular exercise for at least six months before your walk. A good gym or personal trainer will be able to draw up a personalised training programme. Can I combine my Cotswold holidays? Depends on which guidebooks/maps/route notes you use for your particular trip, it can be possible to combine them. Check with your destination specialist, and they will be more than happy to let you know if your itinerary is possible. I would thoroughly recommend this walk. This was a real opportunity to have some 'me time'! Great opportunity for reflection whilst walking through the beautiful Cotswold countryside. October proved a lovely time to walk with blue skies and sunshine as well as the odd shower.A good walk for a solo walker. All the services along the walk were great--bag transfers, accommodations. The section of the walk was stunning. We wished we had more time to explore off the trail: visit Blokeley where Father Brown is filmed and visit Sudeley Castle. I wonder if you ever allow folks to spend more than one night in the same village so you can do that kind of exploring of the area. We had one experience of getting off-trail because the directions were's explicit enough. Markers for other trails, which we didn't know about, threw us off, along with the fact we had to open a working farm gate to find the trail. That kind of detail should be included in the directions. A definite one to put on your bucket list. Great way to see the English countryside. The accommodations were awesome. Especially enjoyed the Inns and local pubs. Already looking to book my next trip. A pleasant walk - despite the weather! Only the final night's accommodation was less than ideal - after walking 6 hours (in the rain) there was no dinner at or near the B&B, no buses and difficult to get a taxi, so another 2K's walking to the nearest pub and back to get a feed! In the dark. And the rain. Oh well - made for a good night's sleep. The Cotswolds over 10 days was just right for our group of 70-somethings. Each day was long enough to provide a challenge with enough ups and downs but nothing so difficult or long that it defeated us. The countryside was exquisitely English, the accommodations friendly and comfortable and plenty of pubs close to the trail so no necessity to carry a lunch. Had fun as usual. I have been on several inn to inn hikes. I recommend doing just the north half unless you really want to do the miles with fields and sheep. I loved the history along the trail. Using a company like Macs was a new experience for our group. We loved not having to book our own accommodations from home and having our luggage transported for us each day. It meant we only needed a small day pack was we hiked (to carry a rain coat--we were in England, a first aid kit--which we never needed, and snacks. Our accommodations varied each night from old, old inns, to luxury B&Bs, to rooms over the town bar...but each was unique, comfortable, clean, and included a full breakfast in the morning. Caroline was a dream to work with as other friends decided to join us. She put them in the same accommodations as the rest of us or put them very close so that each morning it was easy to meet up. I would definitely recommend Macs to any friends looking to go on a hiking/biking adventure. An adventure beyond our expectations! The entire trip was wonderful! The people, the place and the adventure itself. The incredible scenery, the pastoral settings and the villages were beyond magical. We met fascinating people on the trail, and others that will remain life-long friends. Thank you to your entire team for creating a company that makes these trips available, and a special thank you to Kellen, in Colorado. She was so helpful in not only booking our trip, but also answering my numerous questions, quickly and knowledgeable. After having walked the Camino a couple of times, we thought 100 miles of Cotswolds would be a breeze. However, the ups and downs are challenging, but always rewarded with unbelievable views. Very few people, but loads of sheep/cows along the trails, so we had our own personal adventure - nice! 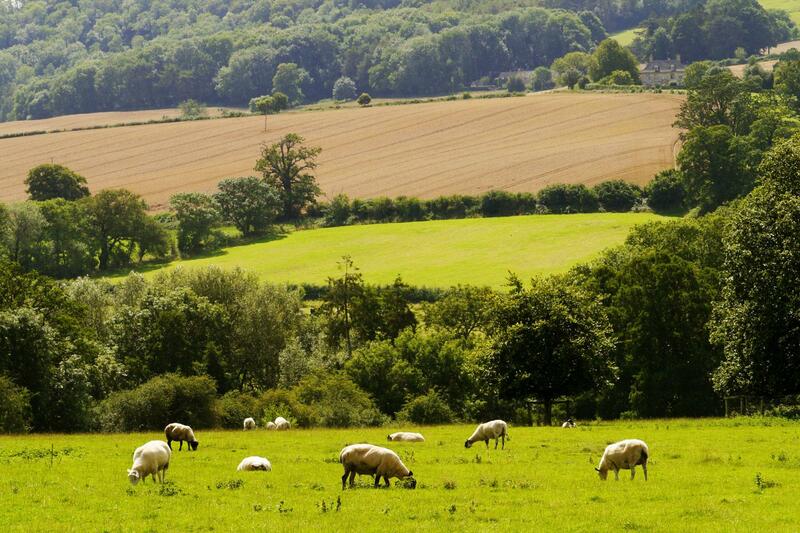 We love the English countryside! The B & Bs we were booked into were amazing and the small hotels were OK. We walked in 7 days and probably should have added a day or so in there, but at 65 and 70, we made it and embraced the challenge of those 15-16-17 mile days enthusiastically (mostly). We had fantastic walking weather the whole way. All was very well organized and we especially liked the Macs' App that always showed us where we were - very helpful! Cotswold is an incredible journey, making it with help of Macs Adventures made it more special. This tour explores the beautiful Cotswolds in 8 to 12 days. The choice is yours! If your idea of heaven is beautiful green countryside, picturesque villages, delicious local food and really getting to know a landscape and its people then you will adore the Cotswold Way.